My Country Style week would not be complete without showcasing the beautiful nature inspired work of Lucy Jade Sylvester. All of Lucy's pieces are created in her Oxford based studio where she transforms elements of the countryside into wearable pieces featuring leaves, poppy seed heads and beetles amongst other fragile forms. My favourite pieces are the twig designs, especially the earrings and rings. 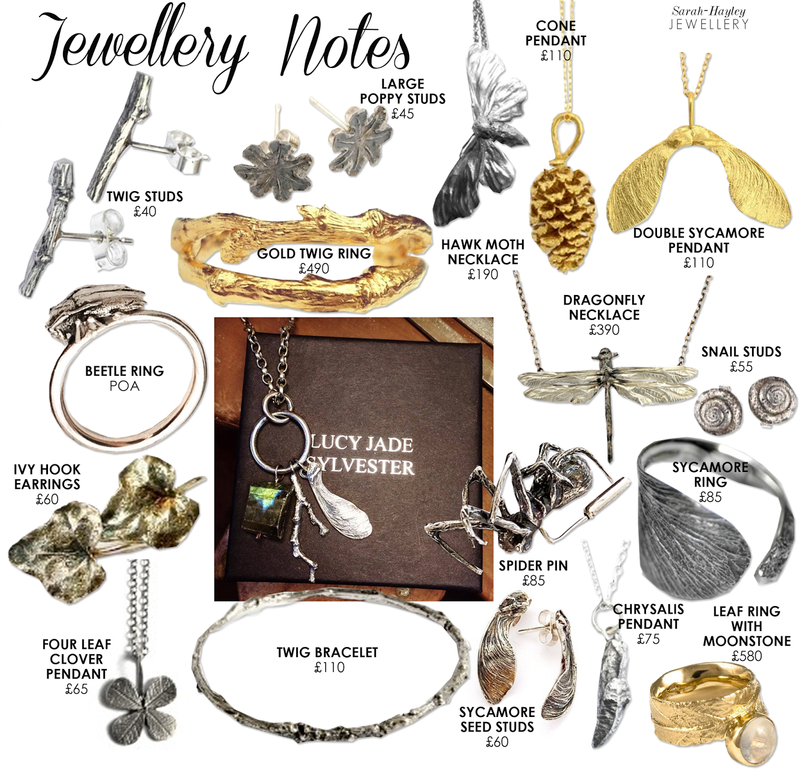 Lucy is stocked on her own website and also the fabulous notonthehighstreet.com.